Harvest Seed & Supply® products can be purchased through these retailers. Not every location will have the full Harvest catalog in stock; contact your local store directly if you have questions about item availability. Featuring fruits & nuts for extra nutrition. Attracts grosbeaks, cardinals, woodpeckers, mockingbirds, thrashers and more. Contains black oil sunflower seed, millet, peanuts, striped sunflower, milo, safflower seed, sunflower chips, dried cherries, dried cranberries. For use in tube, hopper or platform feeders. Attracts goldfinches, house & purple finches, siskins, redpolls, buntings and more. 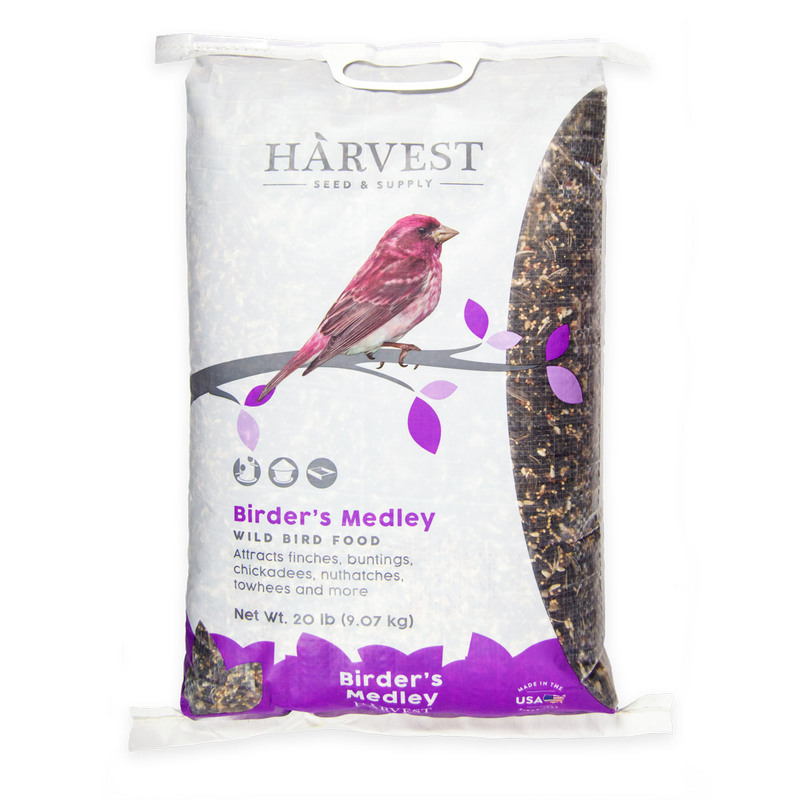 Contains millet, Nyjer® seed, and canary seed. For use with a finch tube feeder. Made in America with global materials. With three kinds of fruit for even more songbirds! Attracts kinglets, buntings, chickadees, nuthatches, towhees and more. 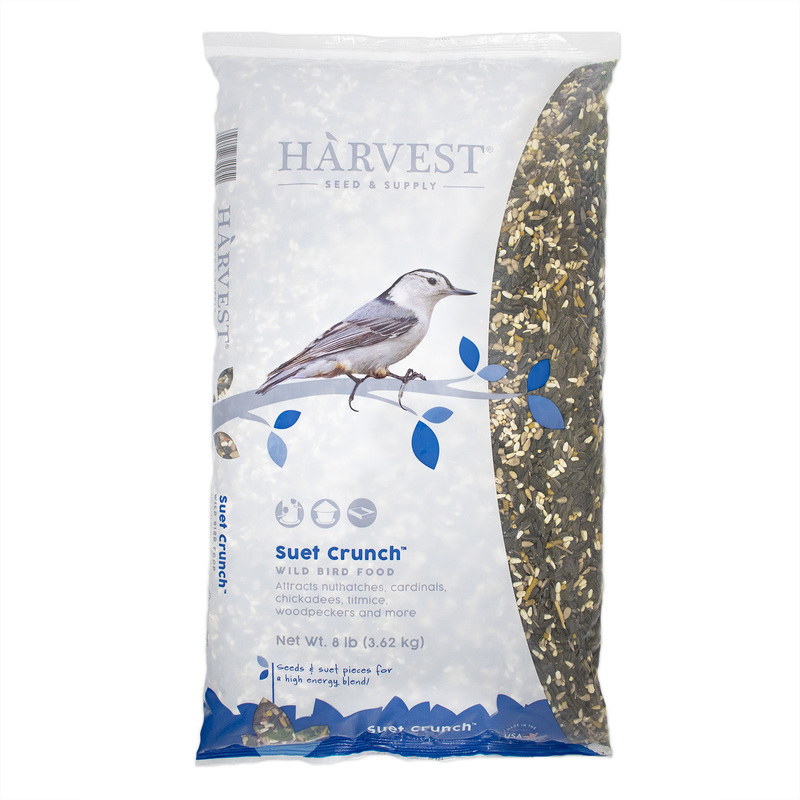 Contains black oil sunflower seed, millet, safflower seed, sunflower chips, striped sunflower seed, peanuts, dehydrated mealworms and milo. With sunflower shells removed to keep your feeding area cleaner! 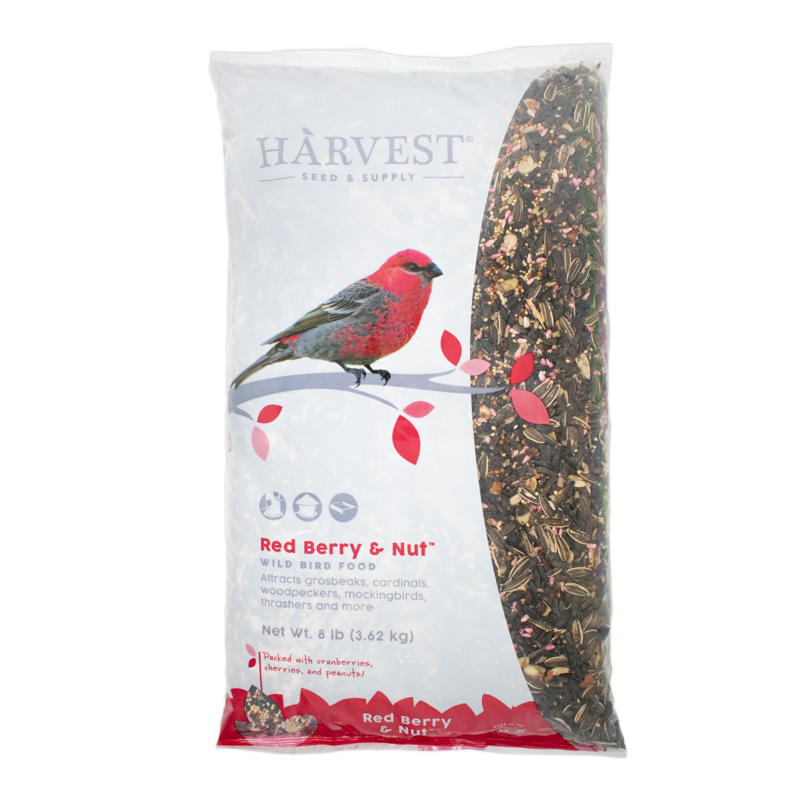 Attracts sparrows, finches, chickadees, titmice, jays, woodpeckers and more. 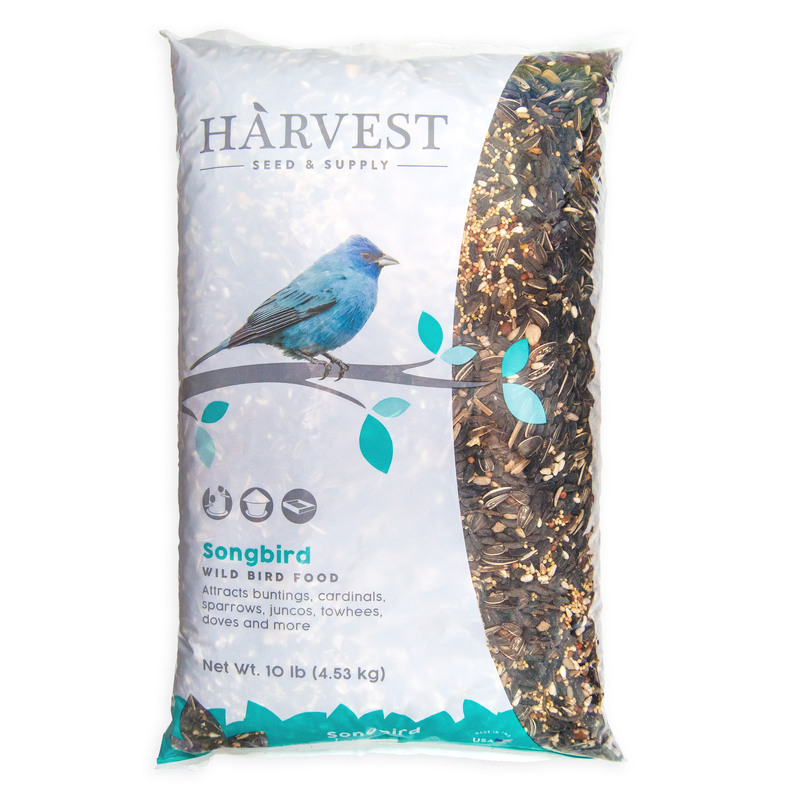 Contains sunflower chips, millet, peanuts and canary seed. Brings a variety of colorful songbirds to your feeders. 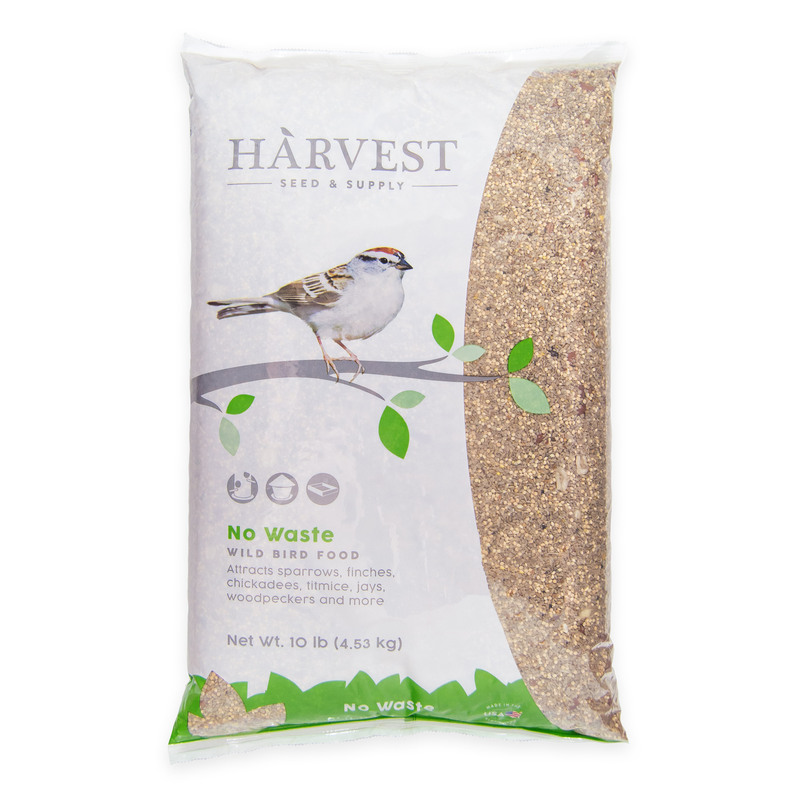 Attracts buntings, cardinals, sparrows, juncos, towhees, doves and more. 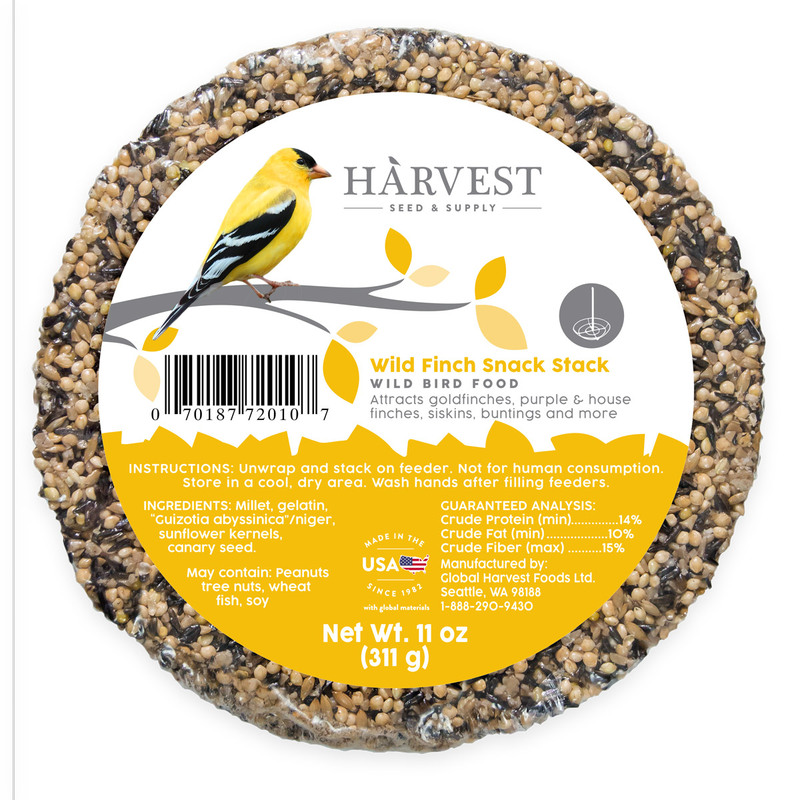 Contains black oil sunflower seed, millet, milo, safflower seed, striped sunflower seed, sunflower chips, and peanuts. 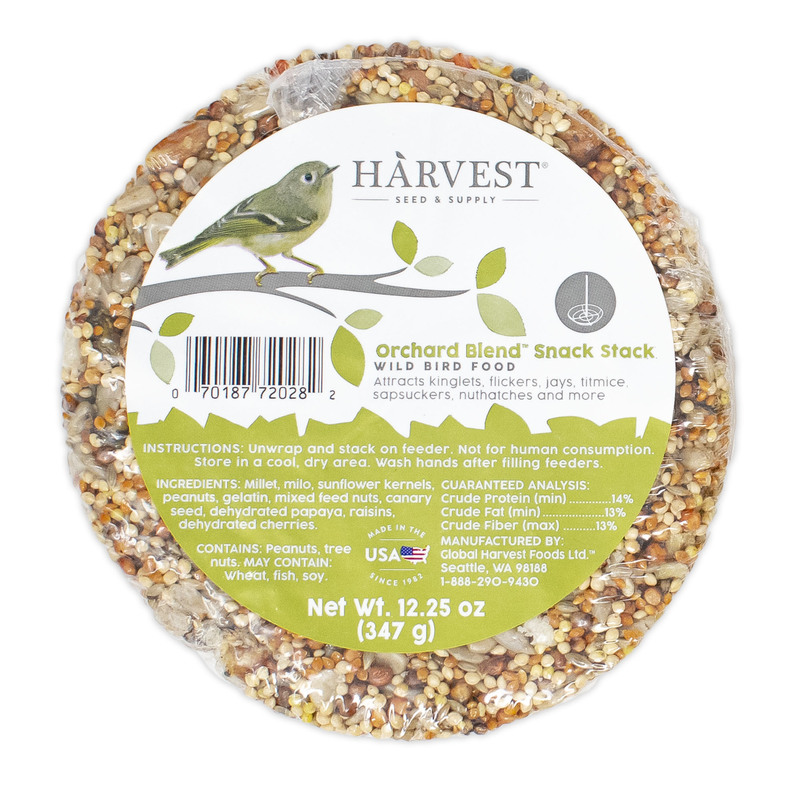 With seeds and suet pellets for a high-energy treat! Attracts nuthatches, cardinals, chickadees, titmice, woodpeckers and more. 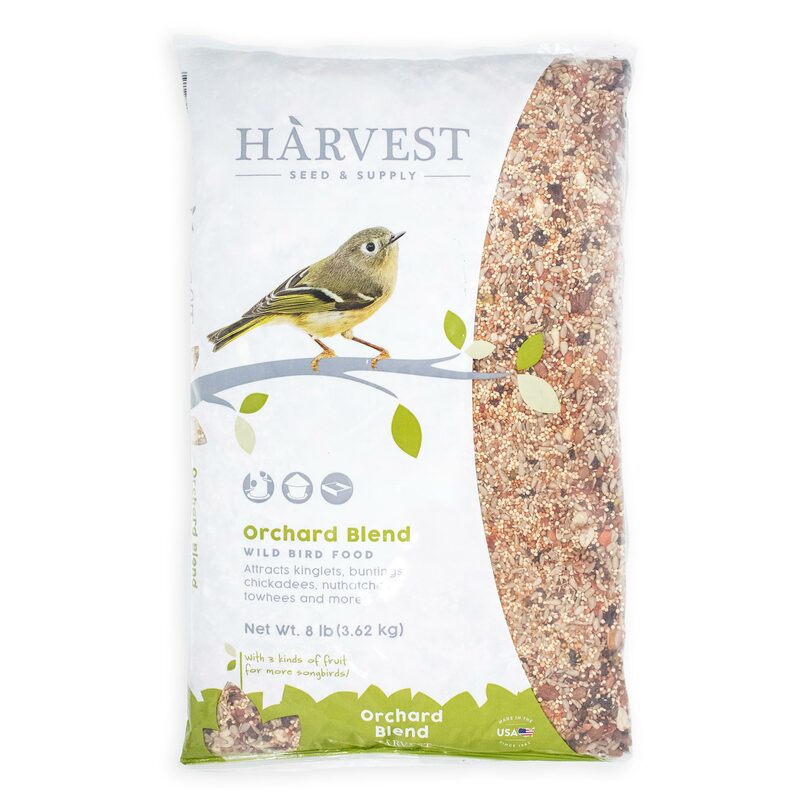 Contains black oil sunflower seed, millet, safflower seed, milo, sunflower kernels, wheat flour, rendered beef suet, glucose, peanut meal, natural flavors. Attracts insect eaters like bluebirds. Also attracts grosbeaks, chickadees, cardinals, jays, woodpeckers, titmice and more. Blended to attract a variety of birds year-round. Attracts nuthatches, sparrows, doves, juncos, towhees, chickadees and more. 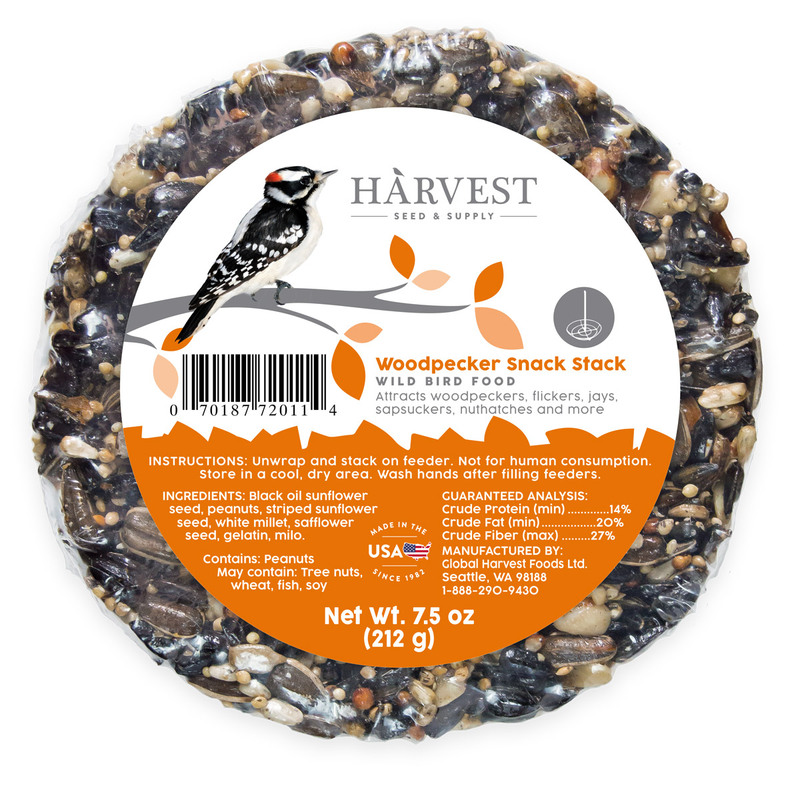 Contains black oil sunflower seed, millet, milo, striped sunflower seed, safflower seed, sunflower chips, and peanuts. 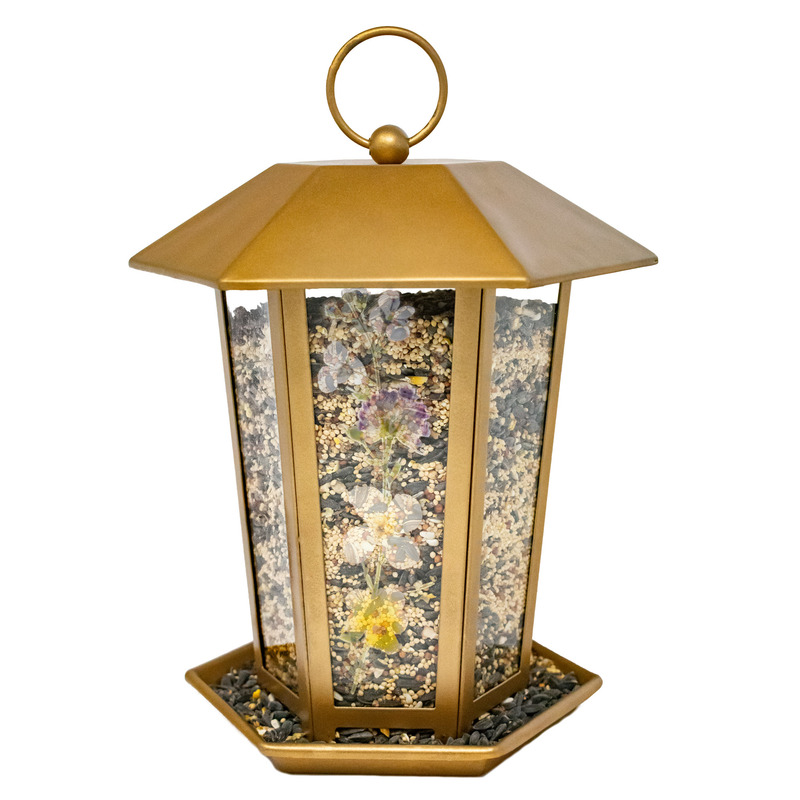 Attracts insect eaters like bluebirds and robins. 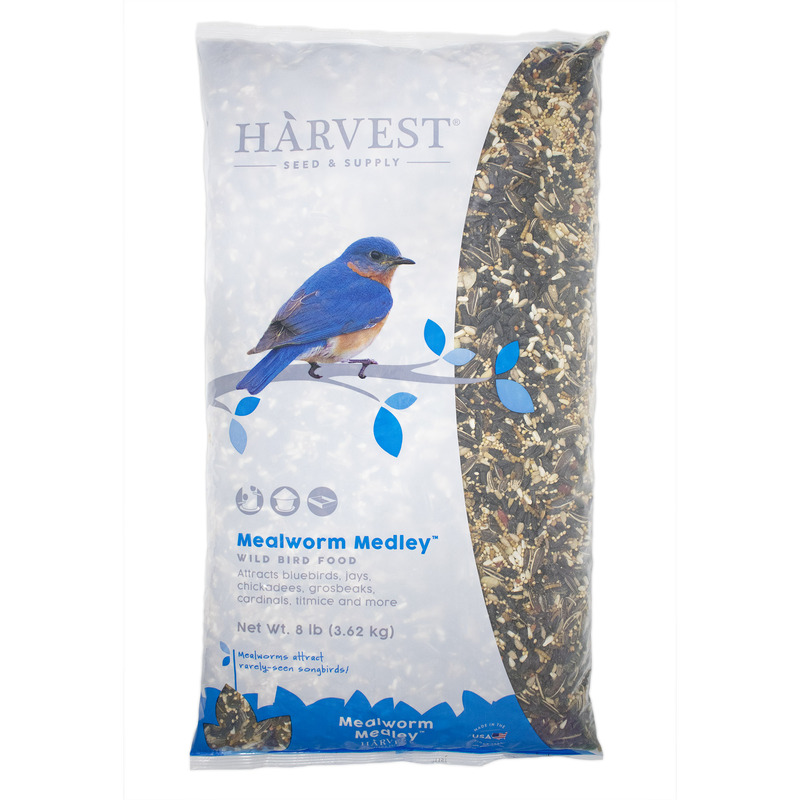 Contains sunflower chips, dehydrated mealworms, safflower seed, black oil sunflower seed, peanuts, and striped sunflower seed. Bird feeding has never been easier. Contains black oil sunflower seed, white millet, milo, gelatin, safflower seed, sunflower kernels, peanuts, striped sunflower seed. 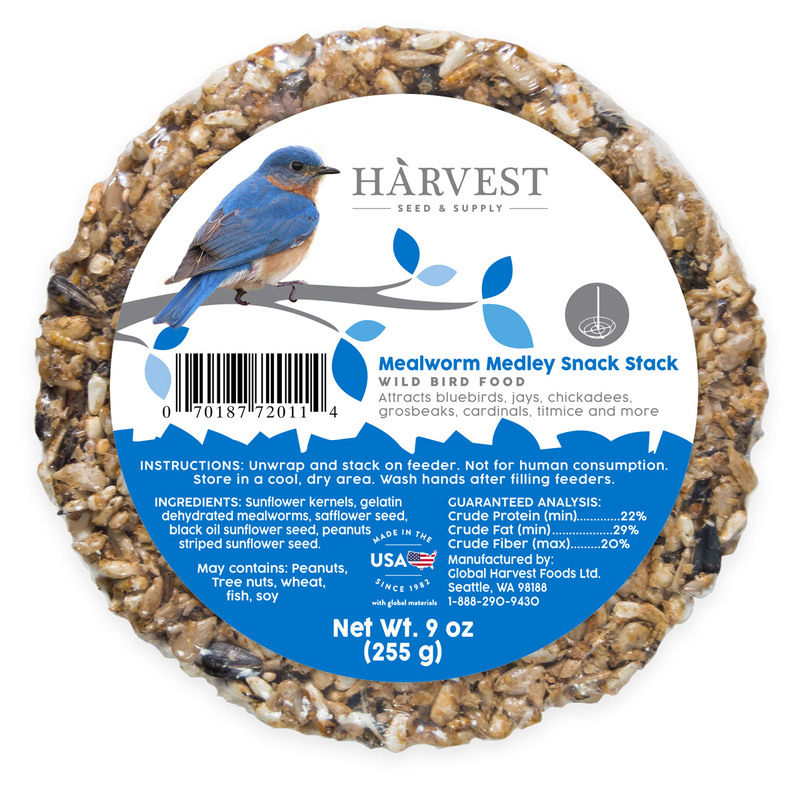 A hearty treat for larger birds. Attracts woodpeckers, flickers, jays, sapsuckers, nuthatches and more. Contains black oil sunflower seed, peanuts, striped sunflower seed, millet, safflower seed, and milo. 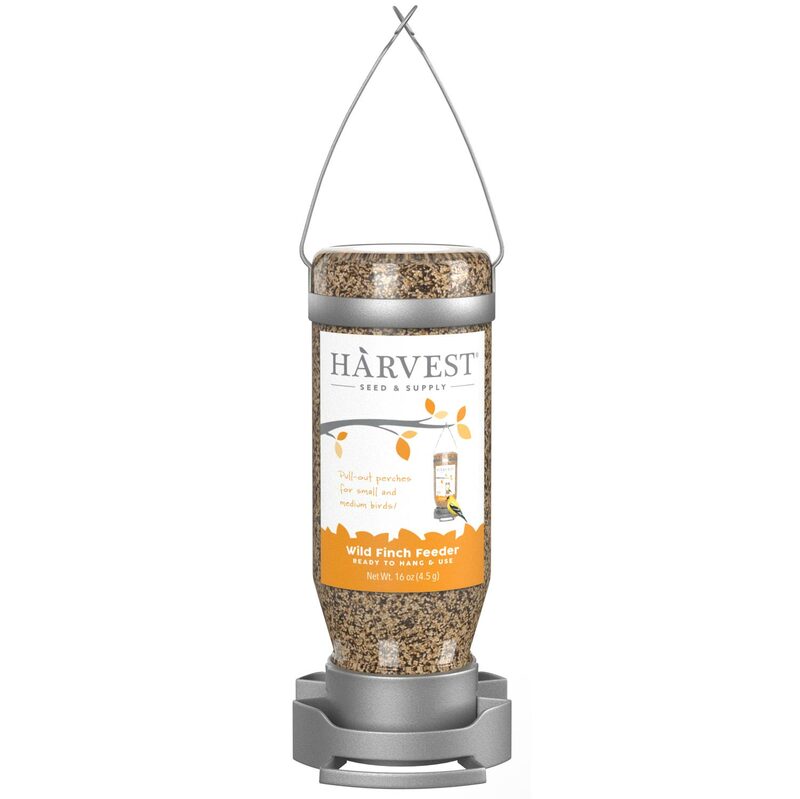 For use with Harvest’s Snack Stack Feeder. Attracts goldfinches, purple & house finches, siskins, redpolls, buntings and more. 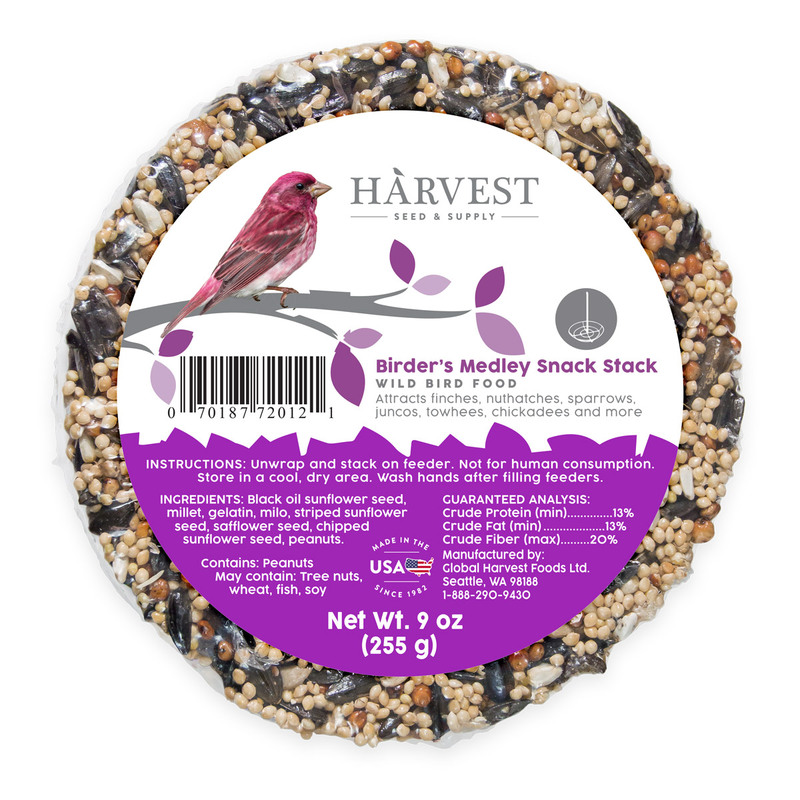 Contains millet, Nyjer® seed, sunflower chips, and canary seed. 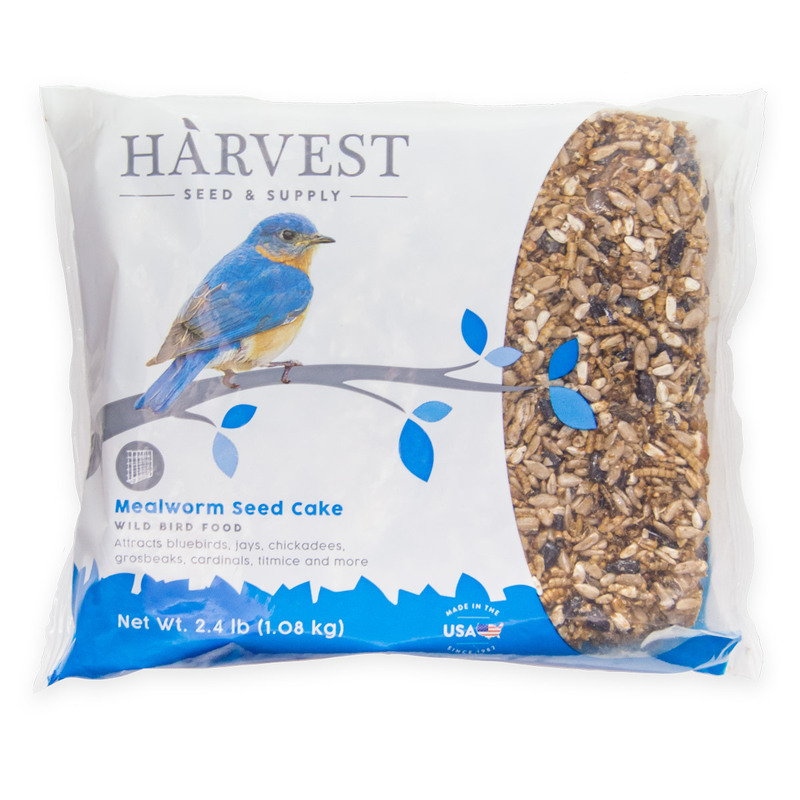 Our pressed seed Snack Stack cakes can be stacked together on a single feeder, attracting the widest possible variety of backyard birds. 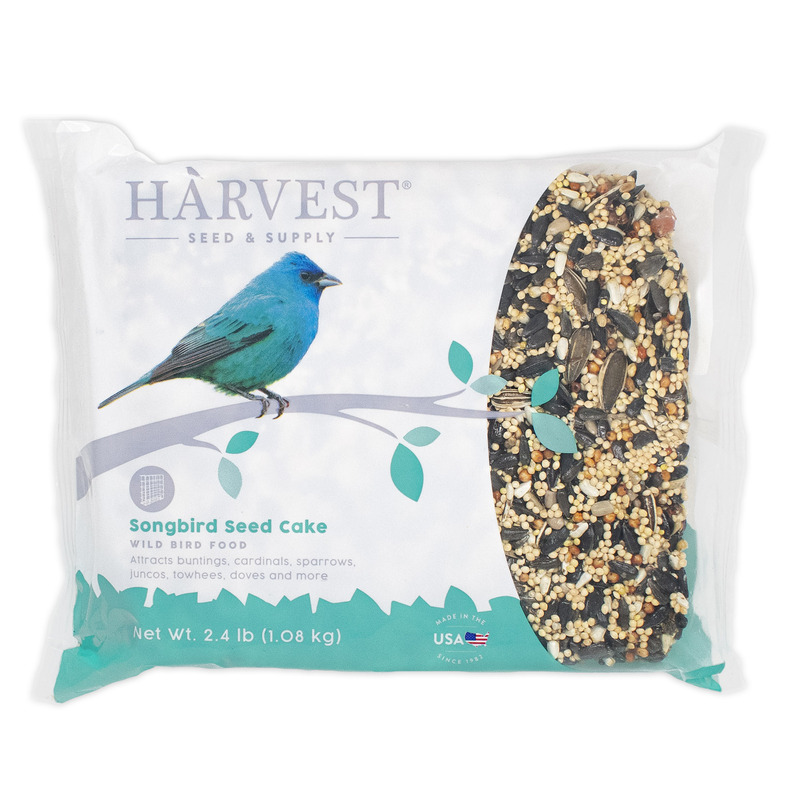 Made with 3 kinds of fruit to attract even more songbirds! Contains millet, milo, sunflower kernels, peanuts, gelatin, mixed feed nuts, canary seed, papaya, raisins and cherries. Also attracts jays, chickadees, grosbeaks, cardinals, titmice and more. 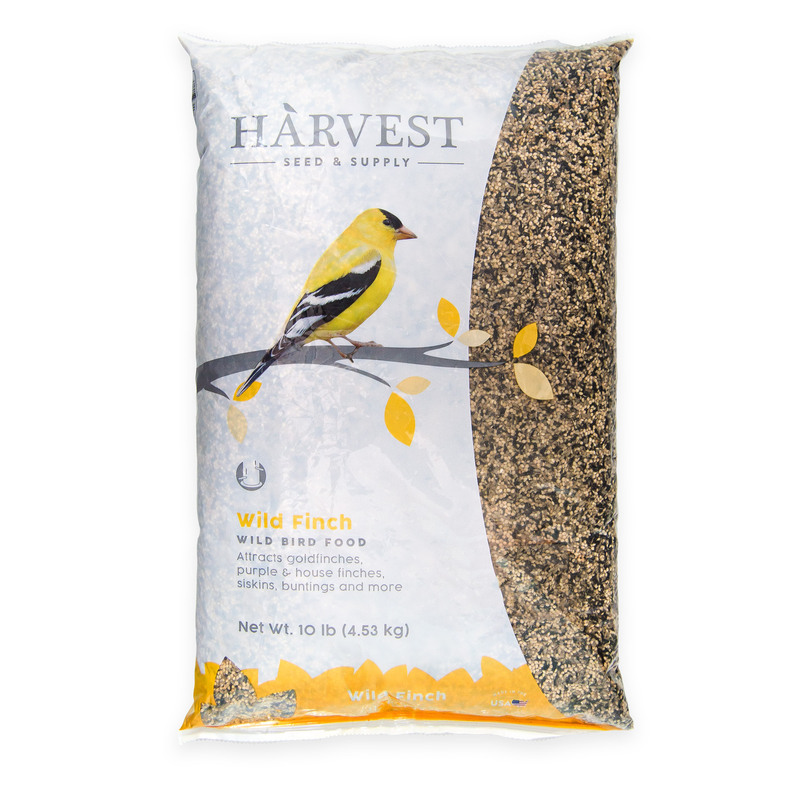 Attracts finches, nuthatches, sparrows, juncos, towhees, chickadees and more. Contains black oil sunflower seed, millet, milo, safflower seed, striped sunflower seed, peanuts and sunflower chips. 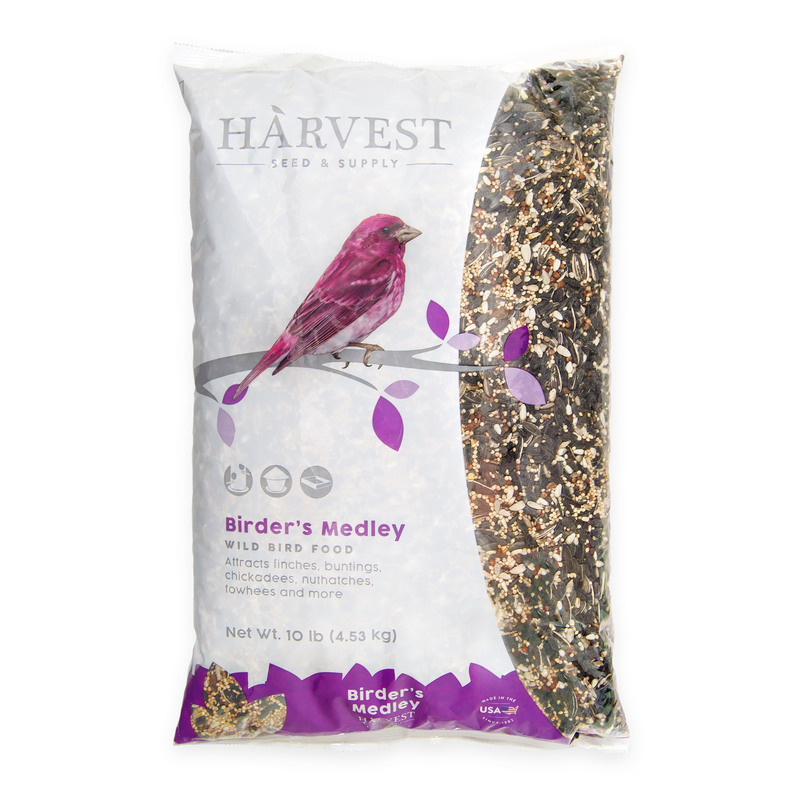 The easiest way to bring the widest variety of birds to your yard! A breeze to use and clean. Combine multiple types of Snack Stacks to attract a diverse assortment of colorful species. Large size for less frequent refills! 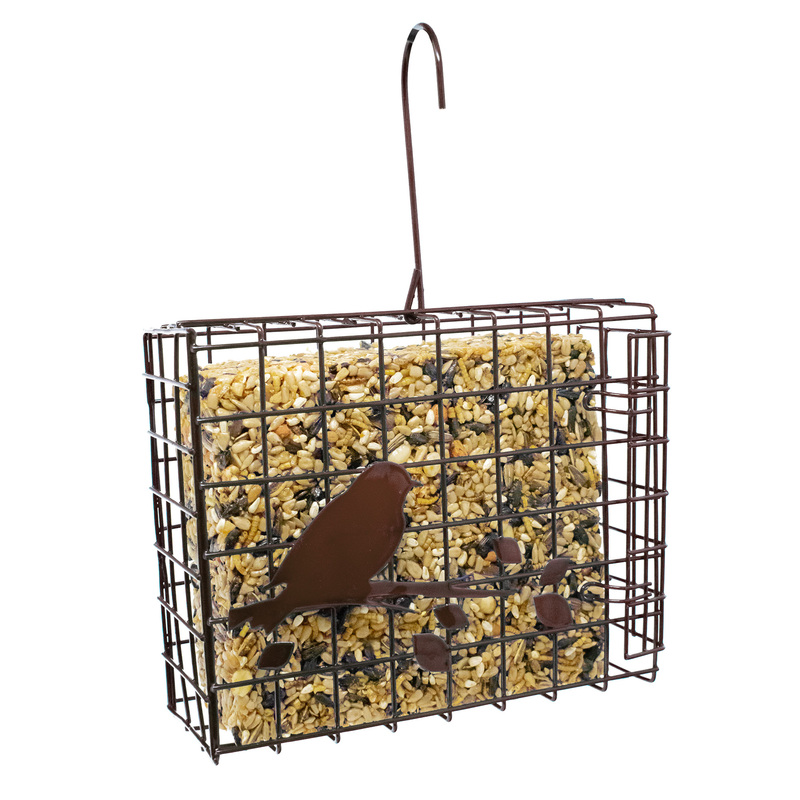 Attracts perching birds like chickadees, titmice, goldfinches, sparrows and buntings. Powder coated for weather resistance. For use with Harvest Seed & Supply seed blends. Easy to use – just snap open, place seed cake inside, and snap closed. Self-locking lid keeps seeds secure. Powder coated to resist weather wear. 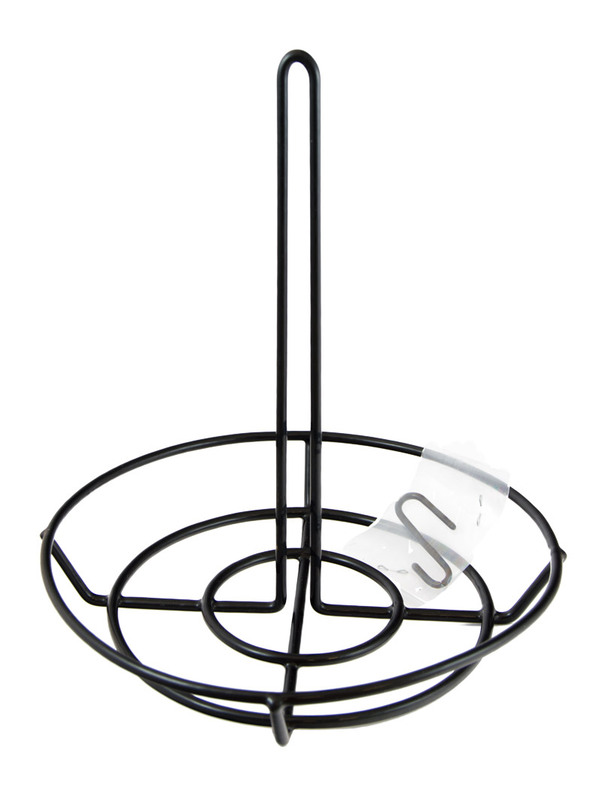 Refillable feeder with pull-out perches for small & medium birds! Feeder made in India with recyclable materials. Packaged in USA with American seeds. This is a promotional item with a limited run. Please check your local store for availability. Copyright © 2019 Harvest Seed & Supply. All rights reserved.